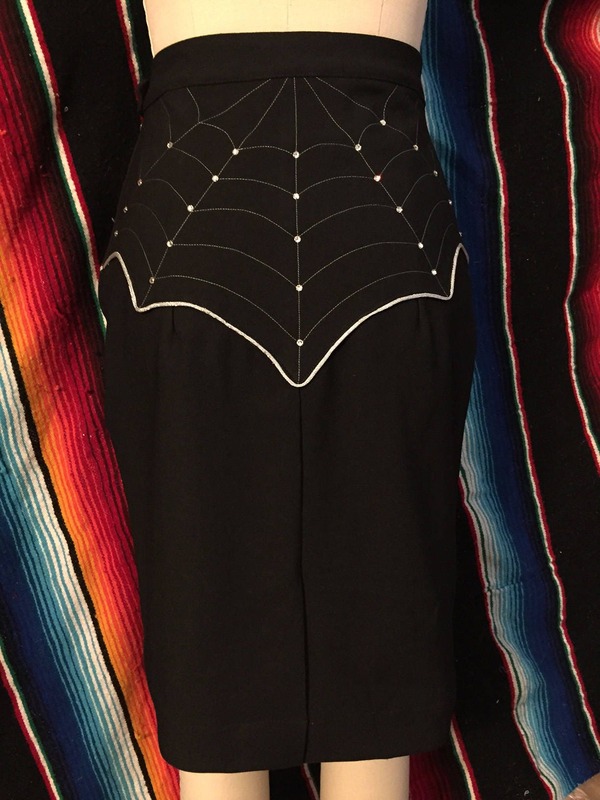 Spooky PLUS sparkle!? 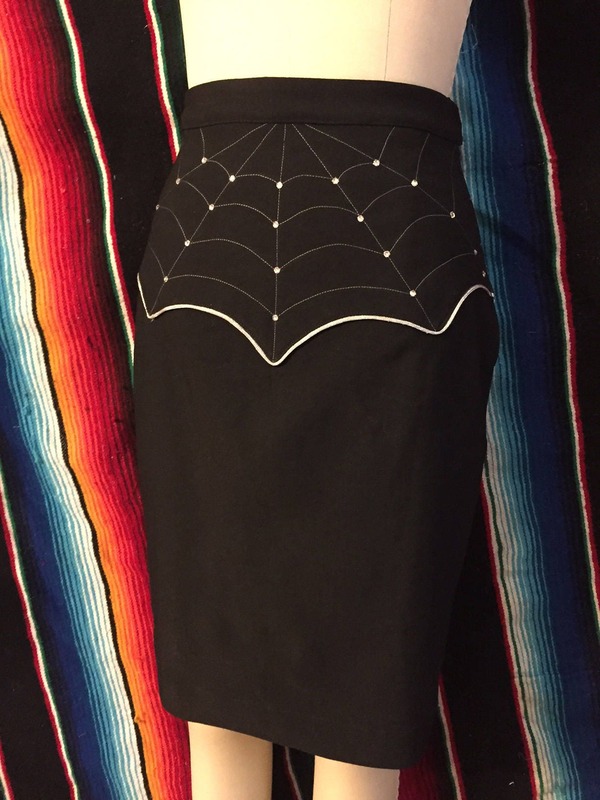 Our new Charlotte Western Spider Web Pencil Skirt blends vintage inspired western wear with our most favorite time of the year!! 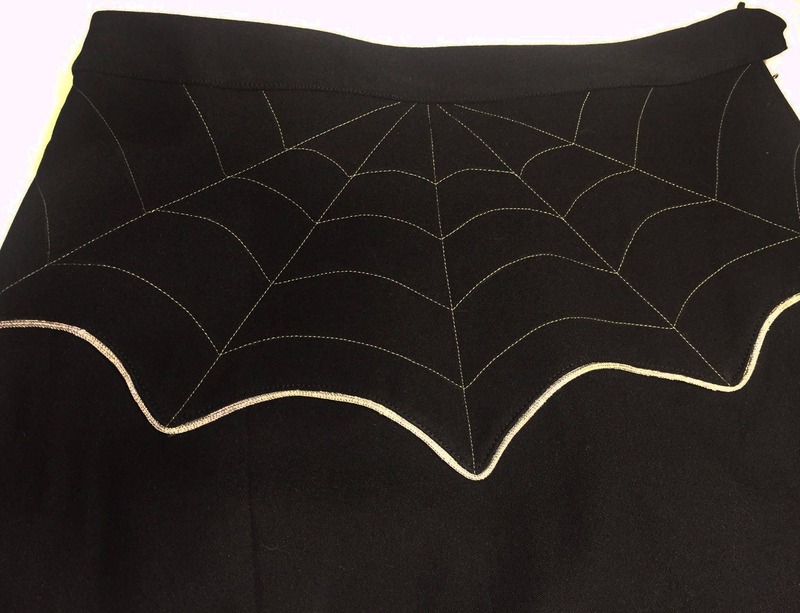 High waisted and made of a medium weight black stretch cotton twill featuring web shaped western yokes and hand-embroidered silver spider web design, outlined in metallic silver piping. 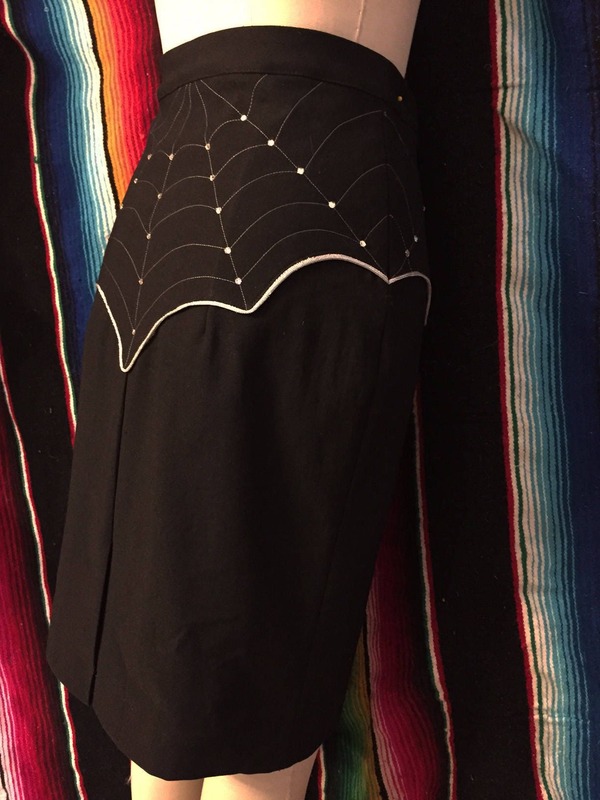 Features a back kick pleat, side zipper and hook closure. 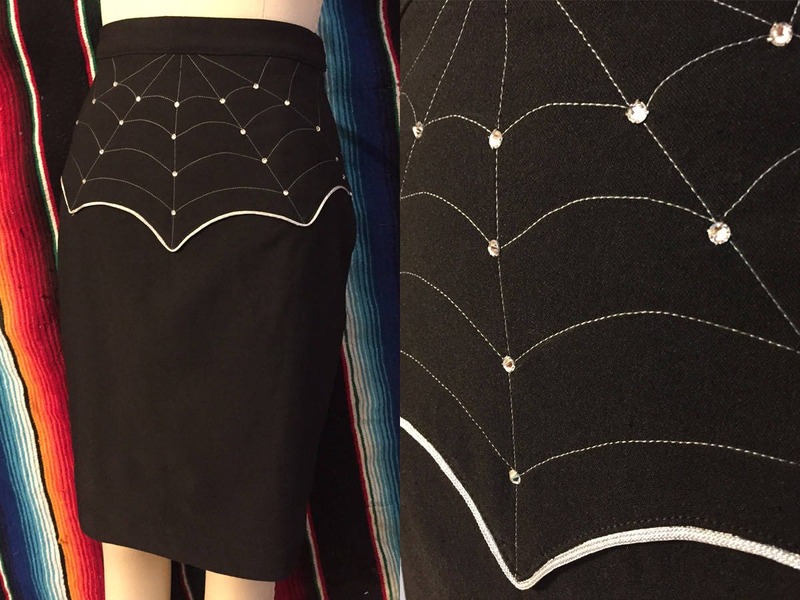 We are offering this spooky skirt in several customizable options; one spider web yoke in either front or back, web yokes on both front and back, and option of adding hand-set 20ss Swarovski crystals in tiffany settings to add some serious sparkle to your spooky webs. Additional sizes available per request. This is a custom order item and ships in 4-6 weeks. If needed sooner, please message with desired receipt date and we will try to accommodate.